© Sunguy | Dreamstime.com – Ice Cream Sign And Tent Top Isolated. I updated my Maryland Ice Cream Trail page. I added a plan to cover all nine creameries in three weekend trips and a map for planning. Let me know if you have any questions. What’s the Maryland Ice Cream Trail? Maryland has nine dairy farms that offer fresh ice cream. Together, they make up the Maryland Ice Cream Trail. Visit each creamery and get your trail passport stamped. The program runs during the Summer and ends in September. We visited all eight of the creameries on the 2015 trail. We limited our visits to two locations for 2016, Kilby Cream (our favorite) and Woodbourne Creamery (new to the trail for 2016). We will re-visit all the creameries for 2017. Fun times on an ice cream road trip! Thank you for reading Maryland Travel Stories! Maryland has 13 waterfalls throughout the state (14 if you count Paw Paw Falls). My wife and I tried to visit Gap Falls in Garrett County and ran into a little bit of a barrier (see photo). The road to the falls was blocked by a gate with private property signs on it. The GPS said we still had 4 minutes of driving time to go. Google Maps has Gap Falls only a short drive from Wisp Resorts in McHenry, Md. The Garrett County Visitors Center is also in the area. We stopped by the center to get more information or see if there’s another route to the falls. This is where the mystery begins. The very friendly woman at the center had not heard of Gap Falls. She did have a map of Swallow Falls State Park listing 4 falls in the area; Muddy Creek Falls, Lower Swallow Falls, Upper Swallow Falls and Tolliver Falls. No Gap Falls. I scanned a few brochures … nothing. Gap Falls is either on private property or you have to go through private property to get to it. Bummer! I can’t say it was a wasted trip. Driving through Maryland mountains this time of year is wonderful. A sea of trees and fall colors greeted us on the drive up. We drove through one of our favorite parts of the state, Deep Creek Lake, Md. The Supermoon gave us extra light along country roads on the way back. Not a wasted trip! I had three good reasons to visit the Lake Anne Brew House Sunday. First, the brew house is located in the historic Lake Anne Village Center in Reston, VA (Fairfax County). The shopping center sits at the end of Lake Anne. It makes a pleasant backdrop for shopping, eating and people watching. My wife and I like this area but we don’t get to visit much. Second, to check out the award winning beer! Two of the beers at the Lake Anne Brew House earned the 2016 Virginia Craft Brewers Cup. Their “Lord Fairfax English Pale Ale” placed 2nd for a British Bitter. Their “Reston Red” placed 3rd for an American Amber Ale. And third, to meet the business dynamo at the head of this female-owned nano-brewery. Melissa Romano and her husband started the brewery six months ago. I learned about this start-up when I contributed to their Kickstarter campaign back in September 2015. They raised $26,000 from 191 backers to help get the business off the ground. Congratulations to this hard working couple with their creative way to help finance a business. There’s a couple things you should know for your visit. Get the correct address from their website before you drive there. You need a special address entered into GPS. You’ll get lost if you use their mailing address. Next, they have snacks for sale but no food is served at the brew house. They have a great solution to this. The brew house has a menu with food items from the nearby Kalpso’s Sport Tavern. Order food from the tavern and a server will bring the food to your table at the brew house. More creative thinking and a good partnership with a nearby business. Now you have three reasons to visit as well. Grab a few friends for some great beer and a great view! Thanks for reading the Maryland Travel Stories! 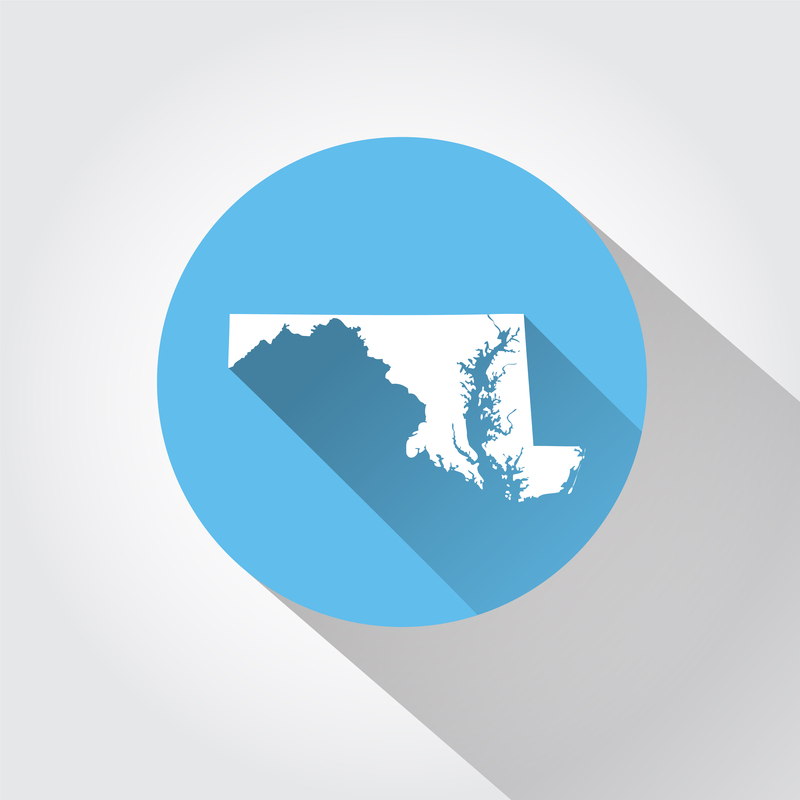 Question:Where Would You Go on a Day Trip in Maryland? Maryland Travel Stories asks a question: If you had the day off, where would you go on a day trip or road trip in Maryland? What would you do? Reply in the comments. Author Brent JacksonPosted on April 20, 2016 Tags Day Trip, Maryland, Question, Road Trip6 Comments on Question:Where Would You Go on a Day Trip in Maryland? Obscura Day 2016 is Coming. Are You Ready to Explore? ALEXANDRIA, VIRGINIA – Taverns & Women & Chocolate (Oh My!) – Come learn about what it took to live the tavern life while enjoying an 18th century chocolate drink! BALTIMORE, MARYLAND – The Hunt for the Mummified Mole Paw – Stop by Bazaar this Obscura Day to try your luck at finding the paw! FAIRFAX, VIRGINIA – Behind the Scenes at the National Firearms Museum – Join us for a special tour of the NRA National Firearms Museum, where thousands of historic and unusual firearms are waiting. MT VERNON, VIRGINIA – The Famous Fakes, Forgeries & Frauds of George Washington – Prepare to enter the world of deception where fake, forged and fraudulent George Washington artifacts can elude even the experts’ eyes. SILVER SPRING, MARYLAND – Save Our Seminary – Join us as we explore long-forgotten National Park Seminary with the non-profit that’s saving it. WASHINGTON, D.C. – Protecting the Capitol – From legendary stones to a hidden fort, join us as we discover what protected the Capitol. WASHINGTON, D.C. – Twilight at Tudor Place – After a day full of exploring, join us at Georgetown’s Tudor Place for music, drinks, and merriment. WASHINGTON, D.C. – Get Your Bearings at Compass Coffee – Join us bright and early at Compass Coffee to get your Obscura Day 2016 started off in the right direction. WASHINGTON, D.C. – Houdini Escapes DC – Join us as we explore Houdini’s connection to Washington DC and create a little magic of our own. WASHINGTON, D.C. – Cut It Off! An Amputation Demonstration – Watch as a skilled medical historian amputates a (model) leg using Civil War-era surgical tools. WASHINGTON, D.C. – Legends of the Octagon House – Join us as we go behind-the-scenes after hours at the District’s most notorious house. Don’t live in the DC metro area? Check the website for an adventure near you. Author Brent JacksonPosted on April 1, 2016 April 2, 2016 Tags Day Trip, Maryland, Northern Virginia, Obscura Day, Road Trip, Virginia, Washington DC1 Comment on Obscura Day 2016 is Coming. Are You Ready to Explore? A lot of road trips can kill the value of your car. I had a conversation last night with a friend who was not a happy camper! He’s trying to sell his car and was shocked to learn the car lost $12,000 in value in 2 years. Why … a lot of road trips. He has a short commute to work but he hits the road at least once a month for weekend stays. He purchased a used car two years ago with 11,000 miles on it. He paid a little over $18,000 for the car. Today, the car has 91,000 miles and was appraised at $6,000. Wow! That’s a lot of value lost in 2 years. Should he have rented cars for all those road trips? The question you have to ask yourself is do you care about the value of your car? What type of car owner are you? Are you the type to buy a car and drive it until it dies? If you are, you probability don’t care about car value. One day you’re mechanic tells you it’s time to replace the old set of wheels. You call some nonprofit to tow it away and buy the next car. You don’t need the value on the old car to help buy a replacement car. If this is you, go road trip crazy and drive your own car. Is your car leased? Or, do you plan to trade-in your old car for a replacement? If the answer to either question is yes, your car’s value is important. Here’s what you need to think about. How many miles do you drive per year? The average American drives 12 – 15 thousand miles per year. Let’s use 15,000 (or 15K) as a nice round number. Miles driven is not the only factor in determining the value of a car but it’s an important one. At the end of each year you own your car, how many miles did you drive? If you added less the 15K, GREAT. You slowed the rate of decline in value. If you added more than 15K … OUCH! It’s like tying a brick to your car’s value. Bottom line … if your road trips will take you over that 15k mark in any one year; fly, take the train or RENT A CAR. Don’t put those miles on your car.